Informing people of who you are and what your business does is very important but it is one thing many people do wrong. This post has been inspired by a talk I had earlier today regarding a shop that I live very close to. This shop is situated in a building that is mainly flats; there isn’t a huge shop front just a couple of doors which one is blocked off inside and a window with a display showing off some of the treasures the shop sell. There is a large courtyard style car park that leads to the shop. 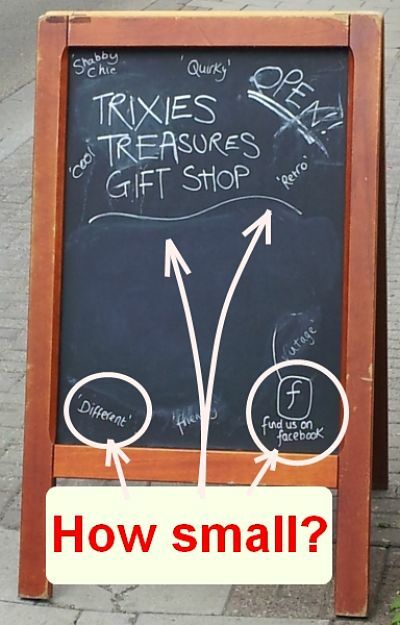 They have a couple of chalk board sandwich boards on the pavement saying that the shop is open. The writing is a scrawl and pretty hard to read, there is no way people passing in cars will be enticed into pulling into the car park to go into the shop. The sign for the shop itself is pretty small and hard to read from the pavement. The shop front generally is obscured by the 2 cars that belong to the owner and her husband who for some unknown reason come at separate times in two cars which they then decide to park out in front of the premises taking up any space that could be used by customers. I took this picture standing in the car park and was not on the pavement! Remember this is a residential area consisting of flats and there are cars parked in the car park that belong to tenants. The red car in the photo belongs to a flat, I know, it is mine. We try and park away from the shop as best as we can but because of the layout of the building and car park we often have no choice but to park where we do. You can see that the sign on the wall is small, has a dark coloured script style font and incorporates a name that doesn’t tell you what they do or what they sell. I can tell you that the shop is not making any money, they are on a very low reduced rent and the money they are taking isn’t even covering that. They certainly are not taking home any wages. It is a good job that they have other jobs to go to in the week and that the shop is only open a few days in the week. If they were relying on that wage they would be in trouble. They do not have a website or an eBay shop, we might live in a small town but there are people here who will buy what they sell and there is a world online to sell to but I personally have to say that if the business does not do well it isn’t down to the townsfolk but the owners themselves ‘playing shop’ instead of running a business. August 22 Update: We have since been asked to move the car because ‘business isn’t good’, we were blocking the door apparently which was affecting business and then we were told the shop ‘owner can park her car there!!?! 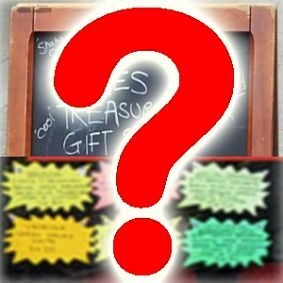 ?’ Hmmm I would say the ‘bad business’ is due to the hours being constantly changed, the shop being closed early and the fact that once inside it feels like a meeting for the local WI group as the parents and their friends run the shop while the owner goes to work. As we pay more in rent you could say I am slightly miffed that we are being classed as part of their problem when there are hundreds of reasons they are making their business fail. There is a fine line between form and function, we all want our businesses to have great looking designed signs and logos but if they cannot be seen clearly or tell people what it is that we do then we are wasting good money and harming the businesses future from the start. 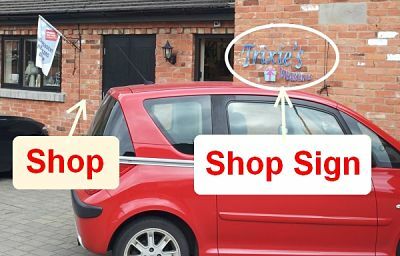 An example of another local shop that started during the recession and has grown into bigger premises and they use far better signage than the first shop example above. Notice that they have also included who they are, what they do and have contact information? They also have an online shop, I once ordered flowers to be delivered to my mother while I was 200 miles away and it was effortless. That was a sale they took without me needing to visit the shop. John Brown, Mike Williamson… Who? For years it was common for people to have their business vans covered with their names which is ok if it was followed with their trade for example ‘Williamsons Builders and Plasterers’ or Andi Leeman Carpenter & Joiner’ (Yes that is what I had on my ads and vans when I was in the building trade) at least as you saw the van drive past with a name on it you could also instantly see what they did. It makes sense to also add a small list of the jobs that you do such as ‘fit new kitchens’, ‘make and fit doors and windows’ to help the fact that some people do not know what a carpenter & joiner is let alone what they do. More importantly a phone number should always be included, how else can people get hold of you to enquire about work? After all, you set up in business to do work for people to earn money didn’t you? 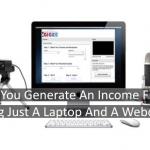 How else will you earn money? 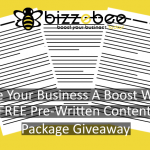 So it is vital that you get across to potential new clients what you do and how they can get hold of you quickly. Sometimes people do use signs and graphics that include phone numbers and tell people what they do but they choose a font or colours that are hard to see and read or simply make people look away. We can all go for fonts and designs we personally like and think looks ‘cool’ but as hard as it is to admit this to ourselves, the logo is not for us it is for the success of the business and nothing else. Think of the old greasy spoon café down the road, the food might be great but we are now so used to a world of great design and themes that when we enter the café and see pieces of paper plastered over the walls with hand written menus that are unplanned, have grammatical errors and the writing seems to shrink in places you cannot help but feel that the owners do not love their business or their clients enough to take that little bit of extra time and care to create a more welcoming feel. Many people will simply turn and walk out. We now live in the digital media world and some brands use viral marketing and guerrilla marketing methods that require getting a branded name or word out in front of as many people as possible. They use the old ‘curiosity’ factor to get people to do a search online to find out more about the company and product. This can work well but you have to be seen and getting your name out everywhere can cost a lot of money. You cannot rely on curiosity alone these days, we live in a small world and trying to evoke curiosity in people isn’t easy when we are just a click away from something else. Attention spans are getting shorter, we have access to so many new forms of media from around the world if you are trying to play the curiosity game then you could seriously lose out. Time is precious and people know that, why would they waste their time trying to find out what you are offering when they know they can go to so many other places? Also if they saw your name or advert offline and were not in a position to do a search there and then, by the time they get home they could easily have forgotten or choose not to bother doing a search. Curiosity brand building is best left to big businesses and TV companies who use it a lot for promoting future coming TV shows. They have the budget and have an existing client fan base they can ‘play’ with and tease as well as get the image across to people as they relax at home near to a computer or smart phone. When starting a new business you really need to spend some time thinking about your business name, logo design and signage. This is the first thing people will see, it is how many people will judge you and your services on. Get this wrong and it could spell disaster. If you do not come across clearly and leave people confused, scared to approach you or even leave people thinking that they should avoid you then you are going to be fighting one seriously uphill battle to get work and earn that important money. PreviousDo What You Love or Do What Works? Can’t overstate how important branding is to a business, no matter what size it is. Get that wrong at the beginning and you can struggle. I see lots of small shops and local businesses struggle with signage near where I live as well. There is always the odd one that you could almost walk past without noticing due to poor signs and branding. Websites can be even more ruthless. Think I remember reading somewhere that you have about 4-5 seconds to let people know what your site/page is about before they will navigate away. Cheers for that Matt and yes, online businesses have less time to leave an impression. In many ways the loading speed of a site is like a company sign and logo, if the loading speed is slow people will move on before you have even had time to sell yourself or your company to them. Andi, this is a post i can really resonate with. Having a lot to do with the Printing industry we often spend a lot of time helping people design their logos, shop signage, banners – and it can be very difficult to “direct” people when it comes to branding. 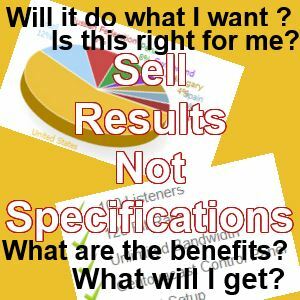 Get it right, it will do wonders for your business (look at Ferrari for example) – get it wrong then your business can and will suffer. I value branding, and consistency and colour and i make you right on every single point in this post!